We have a vested interest in - and make our own - improvements to the user experience on SourceForge. After all, we are at well over one million downloads (and growing every day) from our project page PostBooks ERP, accounting, CRM by xTuple. Sharing this article on "SourceForge’s Ongoing Effort to Eliminate Misleading Ads" which explains how the open source community can help make their own experience a better one. Earlier this week, security experts revealed a significant flaw in a widely used Internet security product called OpenSSL. The bug, called Heartbleed, is a vulnerability in systems that use OpenSSL to encrypt information over SSL connections. OpenSSL is used on about two-thirds of the Internet servers in the world, so the impact of this bug is very widespread. 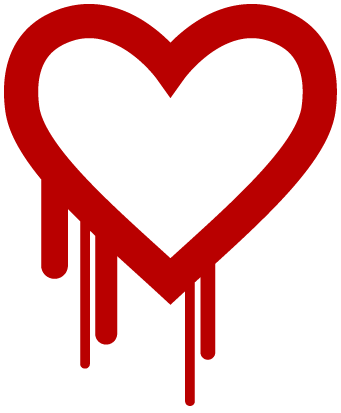 The existence of this bug does not mean that any specific private information has in fact been stolen, but it does mean that it could have been stolen, and all sites that employ the OpenSSL encryption library must implement a security patch immediately, as well as perform a number of other security-related updates, to protect against Heartbleed. The day after the information on Heartbleed was released, xTuple replaced the OpenSSL code on our servers with an updated version that does not contain the bug. We have revoked and reissued all SSL certificates for our servers, to remove any lingering vulnerability. We are informing our user community of our actions and recommending that you update your passwords. This is not fun, we know, but the potential impact of this bug is quite serious and affects thousands of websites around the Internet, including ours. Now that we have updated our SSL certificates, you should update the passwords you use to connect to xTuple sites and services. You should also update any passwords you use to connect to any other Internet service, including Google, Facebook, Amazon, etc., as they all have been affected by this bug. If you want to learn more about Heartbleed, read the information posted by Codenomicon, the security firm that first exposed this bug. You have a good reason for starting a Free Trial of xTuple. Perhaps your company has been running QuickBooks, and now you need something more powerful to handle the complexities of your business. Or you are running on a moribund ERP or accounting package (Sage, anyone? ), and you need to find a new platform with a brighter future. You've heard that xTuple offers greater extensibility and control, and now you're ready to take a look at the product. We are actively seeking an App Store Product Manager, someone who can help us curate and attract code to augment the xTuple community ecosystem. Is it you? In the food industry, not just any ERP software will do. The regulatory and operational needs of food manufacturers and distributors mean that only a sophisticated, flexible, cost-effective ERP application such as xTuple can provide a viable solution. We'd like to highlight the features that make xTuple a "natural" fit for food and describe our plans to serve this marketplace even better in 2013 and beyond.